Advancing past AAA hockey is no easy task, but Joey Cassetti has succeeded the past number of years with USA Hockey’s National Team Development Program (NTDP) and in the USHL. 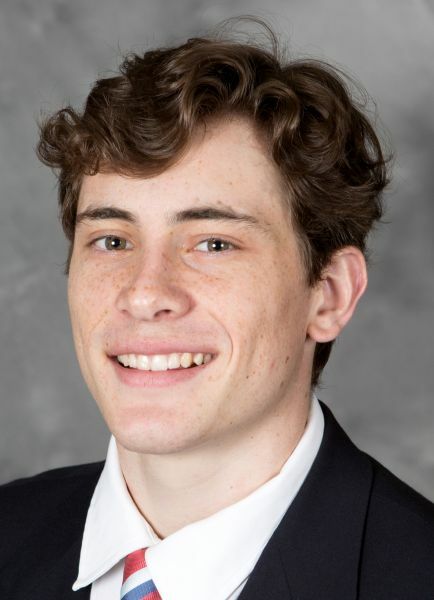 Next season, the Pleasanton native will suit up for Merrimack College, an NCAA Division I school located near Boston that plays in the powerhouse Hockey East conference. “The opportunity to potentially commit and attend Merrimack College first presented itself late last season,” said Cassetti. “My team was playing the Madison Capitols, where (Merrimack assistant coach Curtis) Carr first noticed me. Ever since then, I had been in contact with him as well as the rest of the coaching staff. I visited earlier this summer and committed a few weeks later. Cassetti plans to major in Business at Merrimack. The 2017-18 campaign was Cassetti’s third in the USHL following two years with the NTDP. 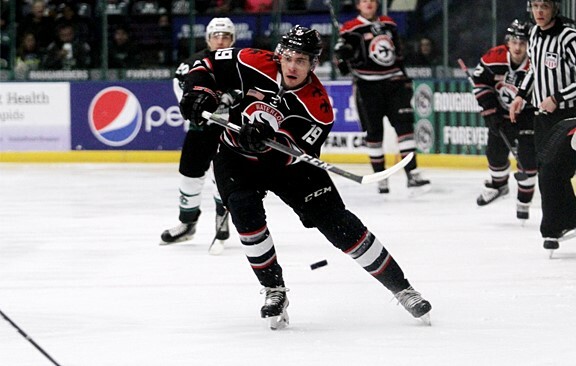 In 44 regular-season games for the Black Hawks, he recorded eight goals and 10 assists. Cassetti also netted two goals and an assist in eight playoff appearances. “Playing for the NTDP for my first two years of juniors really helped me shape my game around to more of a two-way player,” said Cassetti. “I was taught many of the fine details to the game that I had not necessarily emphasized in my play in years past. I developed and matured as a person and a player. Playing in Waterloo this past year, I continued to develop my game tremendously. The coaching staff and everyone on my team really pushed me day in and day out. I was fortunate enough to have the best group of guys surrounding me at all times, as well as the best coaching staff in the USHL. As a youth, Cassetti blossomed with the San Jose Jr. Sharks after playing for the Tri-Valley Blue Devils. He later skated for the Oakland Jr. Grizzlies in suburban Detroit. “I have so many coaches that were positive influences on my character as well as on my development as a player,” said Cassetti. “Tom Nelson coached me when I was playing for the Blue Devils and was always one of my favorite coaches. When I transitioned to the Jr. Sharks organization, I was at the hands of numerous coaches, all which taught different things that helped me develop into the player that I am today. Those coaches were Mike Janda, Sean Castagna and Tyler Shaffar. They were awesome coaches for me and I wouldn’t be where I am at today if it weren’t for them. With the USHL season right around the corner, Cassetti has his immediate and long-term goals in place.